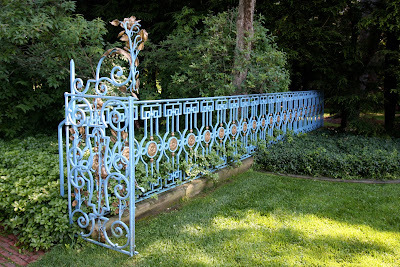 A garden gate at 'Westbury House', the Jay Phipps estate designed by George Crawley c. 1905 in Old Westbury. Click HERE for more on 'Westbury House'. 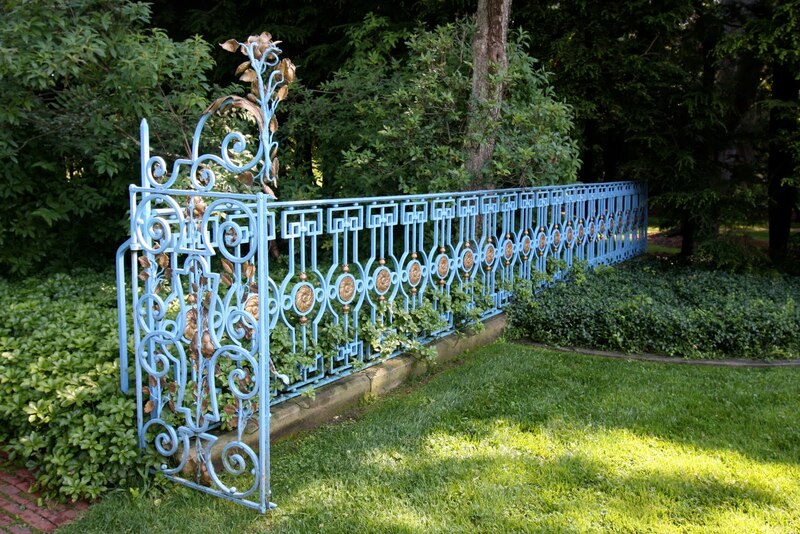 Adore the iron work and the color, beautiful work of art! and i like the way they painted the medallions also instead of leaving it just one color.